I, like most people on the east coast right now, cannot wait for the arrival of Spring. It’s my favorite season (I guess because my birthday is in Spring!) I love everything about Spring, even the rain. I also look forward to all of the Easter items that start to appear. One of my more popular hats at Easter-time is this adorable Spring Chick hat. I hope you enjoy the pattern and make one for your little one for the Spring! Worsted Weight Yarn in Yellow and a small amount of Orange and Ecru for the beak and braids/tuft. 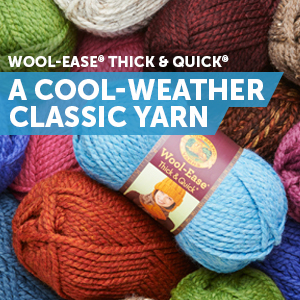 I use Lily Sugar and Cream Cotton Yarn(Affiliate Link) but any worsted weight will do. If you would like a beanie, stop here. Ch 1. Sc around. Join to beginning sc. Fasten off and weave ends. Continue on for earflap hat. For the second earflap, turn the hat to the front and skip 11 stitches. Join yarn and repeat instructions above. Sc evenly around the entire beak. Fasten off and leave a long tail for sewing. To finish off your hat, make sure all ends are weaved in and trimmed. Join your trim color and sc evenly around the entire hat, earflaps included. Fasten off and weave ends. Sew buttons onto the chick using needle and white thread. For the braids, cut 9 strands of yarn for each side of the hat (18 strands in total) measuring approximately 24″ long. You can make them longer or shorter depending on how long you would like your braids. Fold the strands in half and pull half of the strands through the earflap. Make a knot to secure the braids to the earflap. Braid the strands. When you’ve reached the desired length of your braids, knot the bottom and trim the ends so that they are even. Repeat for the other side. For tufts, cut 2 strands of yellow yarn and 2 strands of ecru (4 strands in total) measuring approximately 8″ long. Fold the strands in half and pull half of the strands through the top of the hat. Make a knot to secure the strands. Trim the ends so that they are even. If you would like to purchase the supplies that I used to make this project and help support my blog, you can do both by making your purchases through my affiliate links! This is so perfect, going to make my grandkids some this easter! I would like the fox pattern. The link sent me to the chick patter. Hi Amy. What is a magic circle? Thanks Amy. I will find a tutorial for the magic circle. I know what you mean about that hole :). Your little chick is just too adorable. Love it! I am an advanced beginner crocheter – not sure if I can do this or not but would love to try. Many thanks for sharing. It’s fairly easy once you get started Helen. I’m sure you can do it! By chance do you have instructions to make this hat in different sizes, say like small to large adult? Hi Lesley! I have been slowly working on this pattern in larger sizes but I haven’t finished it yet. Thanks for the pattern! ! My daughters got these as gifts and I’m making one to match for my husband at his request, lol. Too cute! I've never crocheted a hat before, but I love this one and think I need to try it soon!